Sea Glass necklaces! 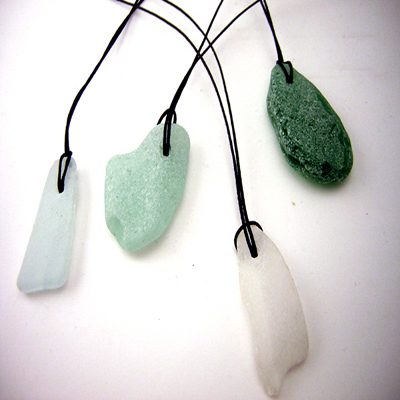 Using a diamond drill bit, I made a hole in these pieces of sea glass and hung them on a black cord. Wear a piece of nature found on Bowen Island. Each necklace is different and may not look like what is shown, but I promise, it will be wonderful.